So here’s a quick run through of the process I normally use when sampling scenes within vray. It’s based in 2.4 but it’s the same process of using overrides and render elements to check is each aspect of the image clean each time. 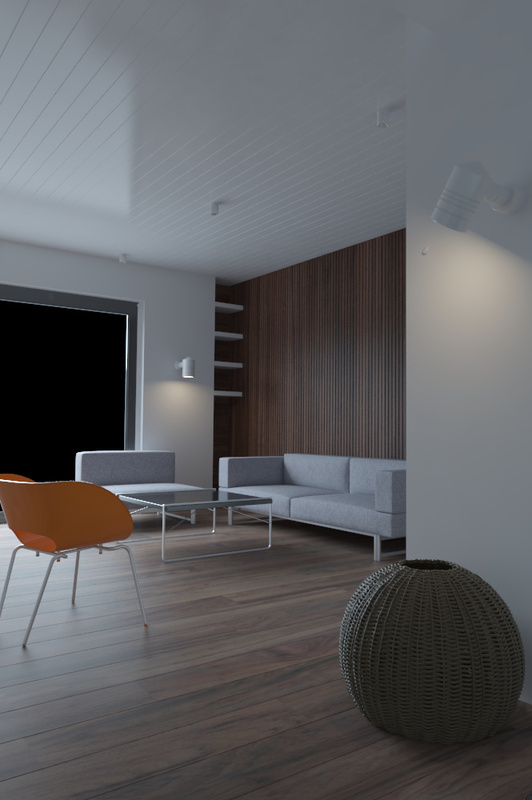 The scene is not meant to be a pretty picture or a finished scene in the end, it’s just a run through of a fairly typical and also quite nasty scenario as regards sampling of lights and materials in vray. Special thanks to Toni Brantincevic for his original article at http://interstation3d.com/tutorials/vray_dmc_sampler/demistyfing_dmc.html and both Vlado and Svetlozar Draganov on the vray support forums for asnwering all my dumb questions over the years! Great tutorial… Could you share the scene with me I would love to give it a test with vray RT 3.0. Just to see the difference in time to gain the same quality..
Hi Martin! I’ll have to get rid of the little plant pot at the front of the image since its from a stock model library but yep I’ll put it up soon. hello. thank you for this good tutorial. our renders at the company got 20-30 % faster by using your tutorial as a guide. can you please share the script for the material glossy subdivs? thank you. Nice overview and explanation BUT 3 hours for this simple scene and 1000px resolution is waaaay too much! It’s 2014 and you can render this one unbiased in like 10 minutes without worrying about no settings at all. great tutorial and explanation. I have learned so much. Hi Manuel! I’m away for this week but i’ll post the script when I get back. It’s somewhere on the chaos forum too! Thanks. Looking forward to test the scene. When I do rendering with Vray RT (3.0) will there be any change in time if you change the subdivs in materials and lights and so on, or is it only when rendering with DMC sampler it makes sense.. Maybe it is a funny question, but I don’t know what will happen. Hello, thank you for this cool tutorial. I am waiting for the scene good luck. hey GREAT tutorial but why dont u use any skylightportal on the window?? Cheers for that, I didn’t originally use the skylight portal since I was using a dome light rather than the environment slot for my gi, but it’s in the list of things to try. I’m doing more test frames with the following bits added on – Sub pixel mapping, reducing the reflection bounces on the glossy materials (something I always do but didn’t get around to in this case), the skylight portal as you say and then using brute force GI for the fun of it. More to come and some scripts along with it too! BTW I slightly changed and optimized VRayMat Resampler script. Thanks for the great video. It explains a lot. Up until now I settled for a bit more noise in order to cut render times. I’m wondering which settings are scalable to higher resolution and which should be tested again when doing production work at 4000-6000px for stills. Testing at such resolutions is not very practical for commercial work. Usually I set my lights and GI before the materials. When I tested your method but turned GI on before the materials I could reduce the light subdivs more because the extra light from GI reduced contrast and unloaded the DMC sampler further. Well, to be honest there was more noise still but it was less visible because everything was lighter. I don’t know if it will still be OK for animation. Hi John I have enjoyed digesting your workflow and have taken it up for myself for the time being. However, one thing I have had trouble with is Hair & Fur WSM. When this is used in a scene with high subd lighting the render times become un-usable. The only work -around i’ve found is to render the rugs separately with the light subdivisions dropped down to 8-30. Then comp back into the scene in photoshop. This is not ideal though, so I wondered if you have ever hit this problem and what was your solution? Hi Chris – are you using the mr primitive type of hair or the buffer type? I haven’t done any rug bits yet but I can try and get around to doing a small test! Are this principle work in Vray 3 ? They do but with the new sampling types in vray 3 we might be able to find an easier way to control things. I’m taking some time to play with it at the minute and doing some revisions!